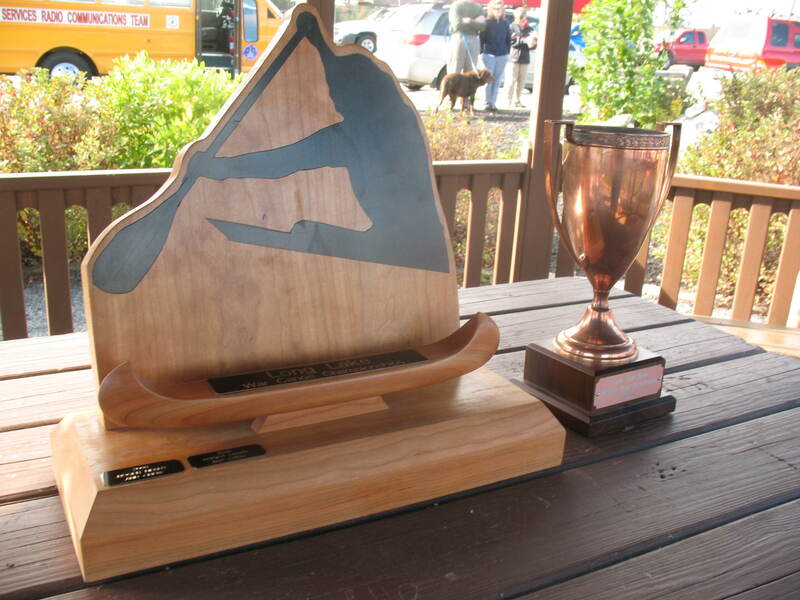 LONG LAKE – Thirty four boats participated in this Saturday’s Long Lake Long Boat Regatta, which featured a variety of races including the North American War Canoe Championships, The New York State Collegiate C-4 championships and the Adirondack Kayak Championships. In the college championships, The SUNY POTSDAM Bears took first place in the 10-mile race on Long Lake with a time of 1:33: 22, Hamilton College’s Meat Stick was second in 1:35: 22, and Paul Smith’s College’s River Cats placed third in 1:36:48. In the North American Voyageur Canoe Championships, “Dog Breath” a team of NYMCRA Marathon Paddler’s captained by Alec Davis, repeated as champions with a time of 2:02:57. Second went to “Team MAC” captained by Paul Smiths resident Brian McDonnell in 2:16:26 and third went to Team Campmor captained by Russell Rayot in 2: 19:18. The 15 mile C-4 Championship was won by “Team Yarnell” of Alburgh, Vermont 2:20:57, followed closely by Watson’s Warriors in 2:21: 17. The regatta also featured several 10-mile races for guideboats, canoes and kayaks. In the Guideboat competition, Gerhardt Munger of Lowville finished first in 1:41:38, follwed by John Marona of Lake Clear in 1:55:50 and father and son team John and Dalton Homer of Harrisville in 2:28:59. John Homer will be on his way to serve his country in Afghanistan in October. all of his paddling friends wish him well. In the C-2 Stock races, Lake Clear resident Chas Billingsley, and former Saranac Lake resident Sandy Waters took first in the mixed class with a time of 1:48:17. In the men’s race Mike Skivington and Glen Vandewinckel of Scottsville and Webster, teamed up to take first in 1:35:08. 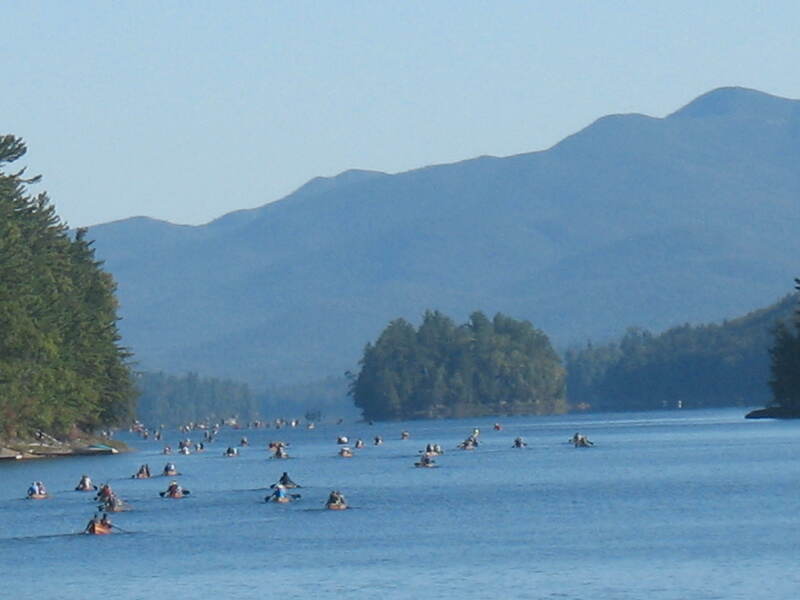 The 2010 Adirondack Kayak Championship winners in the 10 mile Touring Kayak division were Roger Gocking of Saranac Lake finishing in 1:27:48 and Mary Kelly of Rensselaer finishing in 1:54:24. The 2010 Unlimited Class Champion is Dave Wiltey of Johnstown turning in a time of 1:29:21. The fastest time of the day for the 10 mile events was achieved by Doug Roode and Mike Finear of Rochester. The pair won the Adirondack Two Person Kayak Chamionship by paddling the course in 1:21:46. All participants enjoyed barbeque served up by the Long Lake Lions on the Long Lake Town Beach. Race Headquarters was the Adirondack Hotel. 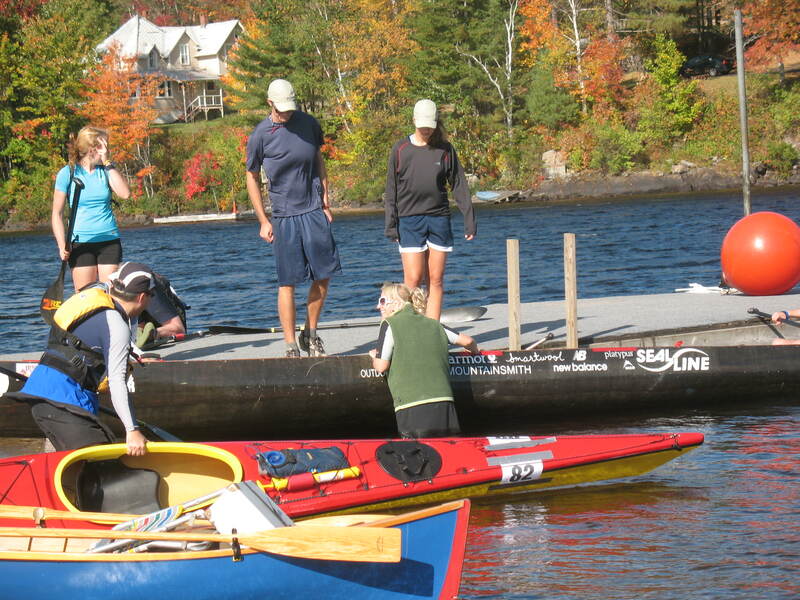 The Long Boat Regatta is the final event of the season organized by the Adirondack Watershed Alliance. 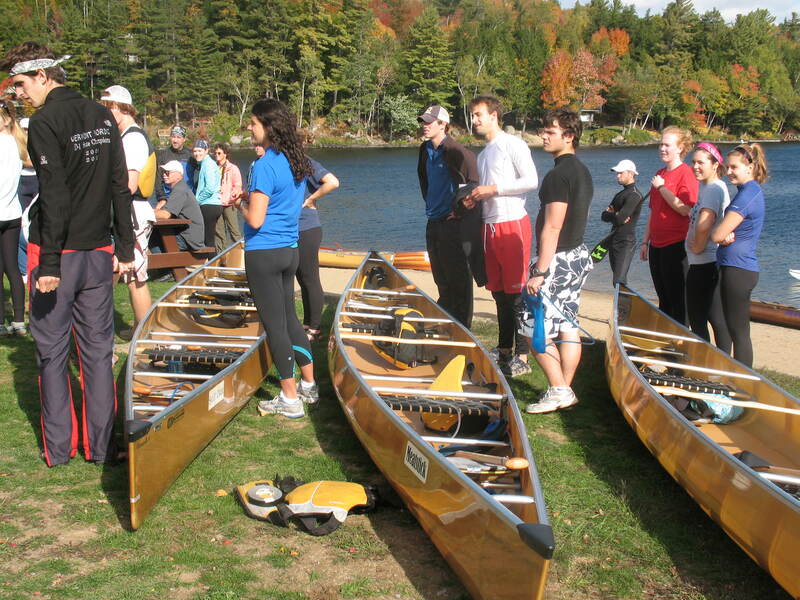 Sponsors for the event included Long Lake Recreation, The Central Adirondack Association, Wenonah Canoes, Campmor, Byrne Dairy and MAC’S Canoe Livery. For complete results and more information about the AWA, visit www.macscanoe.com. 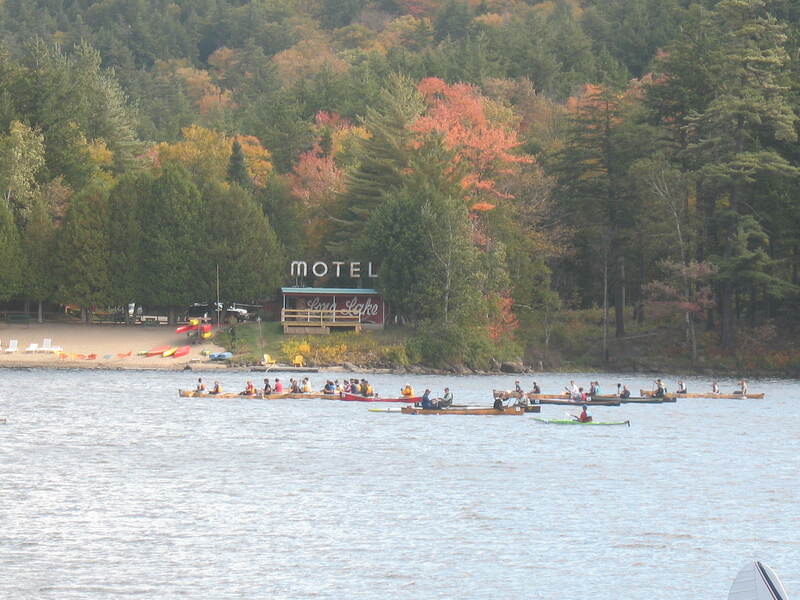 The second day of the 90 Miler, Adirondack Canoe Classic, a three day paddle race stretching from Old Forge to Saranac Lake launched from Endion in Long Lake on September 11, 2010. The fog impeded the start for only a brief delay. 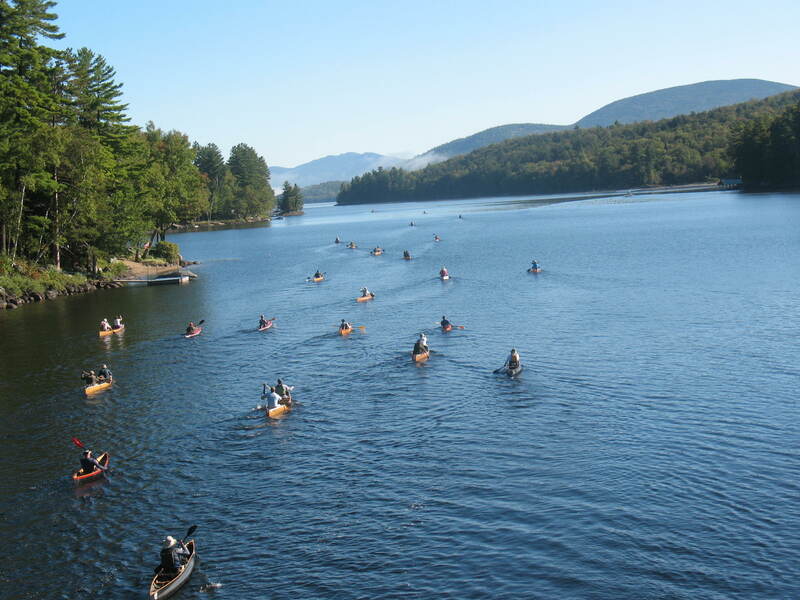 Over 250 registered for the race and with 12 waves launching, the paddlers along with DEC spotter boats, Parks and Recreation Safety Boats, pit stop boats, and flotation devices and crisp sunny September morning headed north to “The Crusher” in Tupper Lake. Boats classes include: Open touring, solo guideboats, tandem guideboats, Voyageur Canoes, C-2, C-1, C-4. Women, men, families, kayakers, college students and even a crew from Barton and LaGuidice Engineering participated. The Town of Long Lake and The Adirondack Lakes Center for the Arts are thrilled to announce their partnership for the sudsiest event of the season. Martha Byrne is a two-time Daytime Emmy winning actress, producer and writer. She is best known for her more than two decade run on the CBS Daytime Drama AS THE WORLD TURNS where she portrayed the role of Lily Walsh Snyder, and later her twin Rose D’Angelo. Her award collection also includes numerous magazine awards and three National Viewer’s Voice Awards. Martha began her career at the age of ten with a two year run on the Broadway stage as July in the world renowned show “Annie.” Martha’s resume also includes over 30 television and film projects. Since leaving ATWT in March 2008, Martha has starred on GENERAL HOSPITAL, worked as a script writer on THE BOLD AND THE BEAUTIFUL, performed in a stage production of “Other People’s Money,” and was executive producer of the film, Bye Bye Sally, starring Malin Ackerman. Ellen Dolan joined AS THE WORLD TURNS as policewoman Margo Hughes in November 1989, after having been asked to consider the part by the late Doug Marland, the head writer for the CBS daytime drama Dolan debuted as Bauer on GUIDING LIGHT in 1982, portraying the popular character for the next four years. Her additional television credits include the made-for-television movies “Mother’s Day,” “Mothers, Daughters and Lovers” with Helen Shaver and Claude Atkings, and “Dancing with Danger,” with Cheryl Ladd and Ed Marinaro. Her stage career began in 1980 at the Milwaukee Repertory Theater with roles such as Katrin in “Mother Courage.” Her subsequent roles in numerous regional productions have included Maggie in “Cat on a Hot Tin Roof” at the Virginia Stage Company, May in “How the Other Half Loves” at the Pennsylvania Stage Company, and Clelia in “The Nerd” at the Capitol Repertory in Albany, NY. She also started a theater company in New York called The Studio Three Group. Dolan earned her B.A. and M.F.A. degrees in theater from the University of Iowa in Iowa City. While working toward her bachelor’s degree, she spent a summer studying dramatic arts at the Webber Douglas Academy in London. Dolan was born in Monticello, Iowa and was raised in Decorah, Iowa. Now the longest-running actress by far to play Margo, Dolan continues to work regularly in local theater. 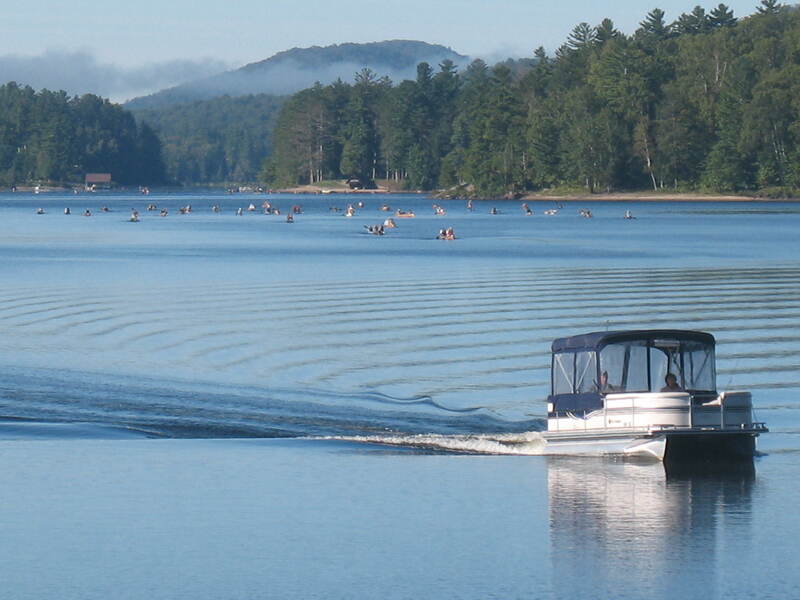 For ticket and lodging information check out www.anadirondackaffair.com, www.mylonglake.com and www.adirondackarts.org.